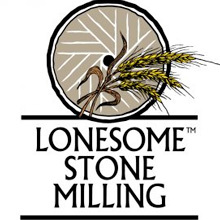 Based in Lone Rock, Wisconsin, 180 miles from Natural Direct, Lonesome Stone Milling produces wheat, rye, corn and buckwheat for nutritious, delicious flours and mixes, including their popular pancake mix. All of their grains are sustainably raised from neighboring farms and ground in a stone burr mill. Each package they sell names the farmer who grew the grain. Most of their products are also USDA-certified organic. 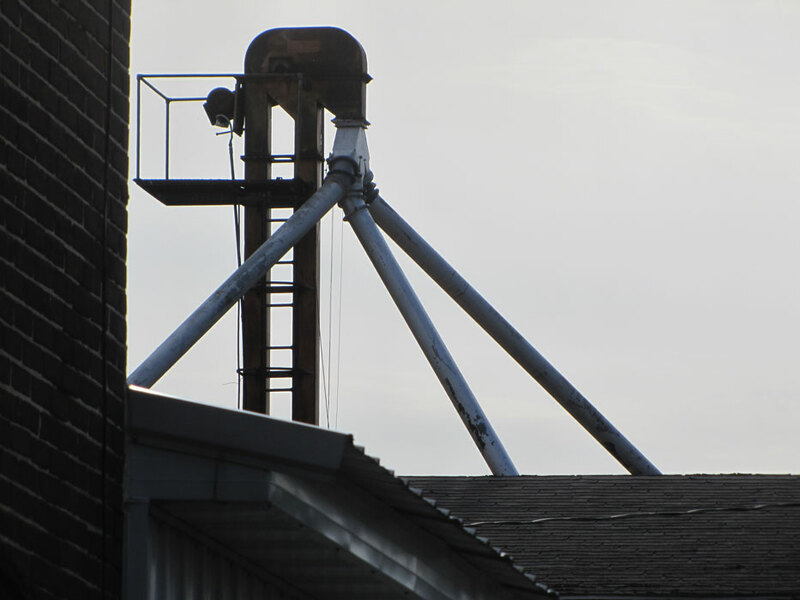 This is the top of our grain leg, a good mill symbol. 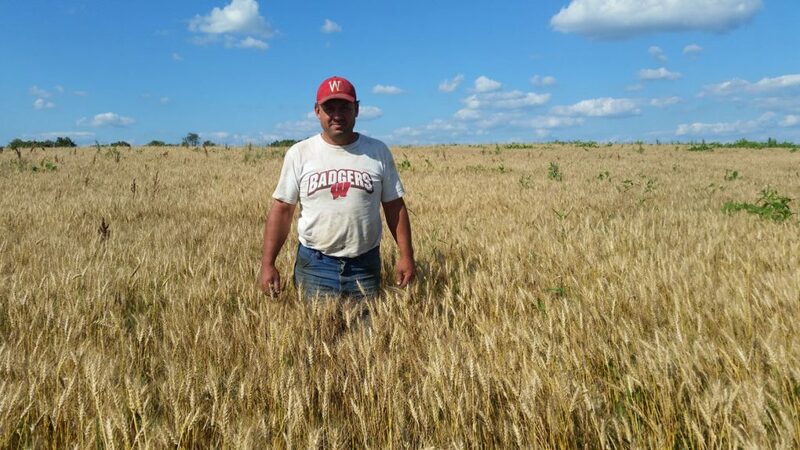 Tom Martin in his field of hard red spring wheat, part of our artisan bread flour. 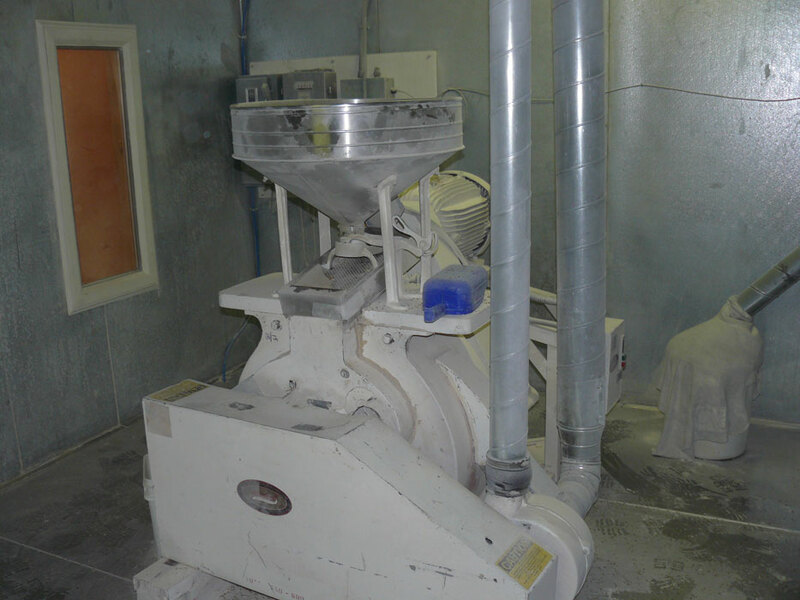 30" Meadows Meal Master stone burr mill we grind flour on.